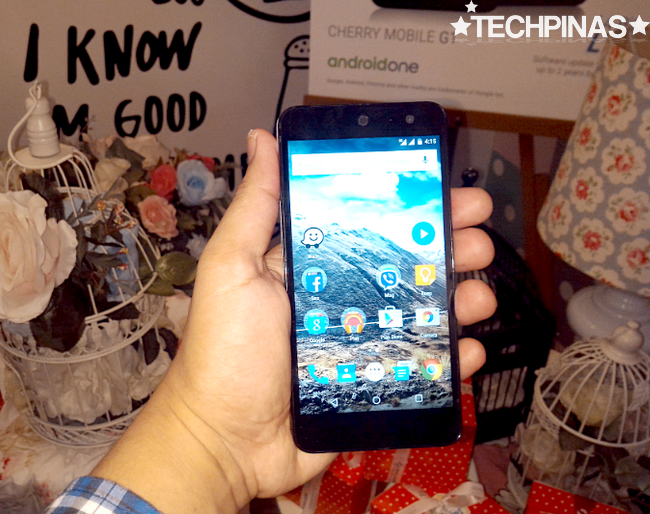 Cherry Mobile G1 Android One Price is Php 5,999, Specs, Antutu Benchmark Score : What Makes This Smartphone Special? 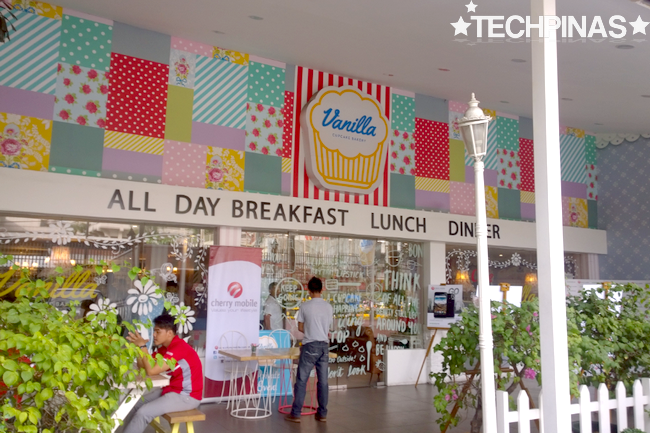 Last Monday - August 10, 2015 - at the Vanilla Cupcakes Cafe in Quezon City (located just in front of ABS-CBN), local electronics giant Cherry Mobile in partnership with Google Inc. officially launched the second iteration to its Android One series of handsets. 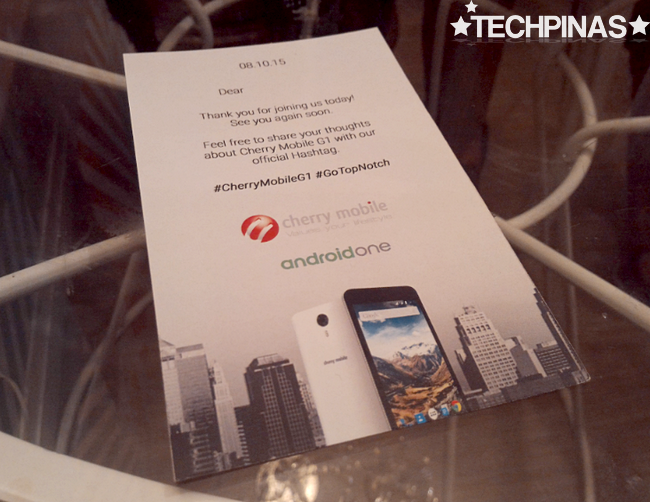 Donning an official suggested retail price of Php 5,999 and hitting store shelves come the last week of August, The 4G-LTE-enabled Cherry Mobile G1 represents a clear upgrade from Cherry Mobile One - the company's first Android One release - not only in terms of internal hardware but also when it comes to imaging capabilities and display quality. They replied, "We should do things that are out of our comfort zone sometimes." Fair enough. Alright. 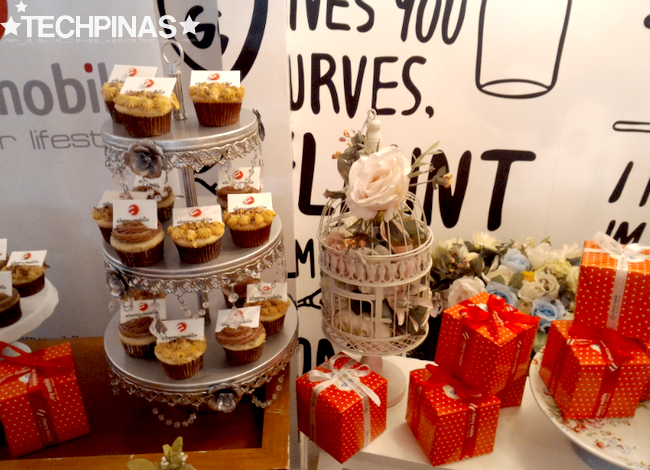 I actually found the intimate venue really cute. 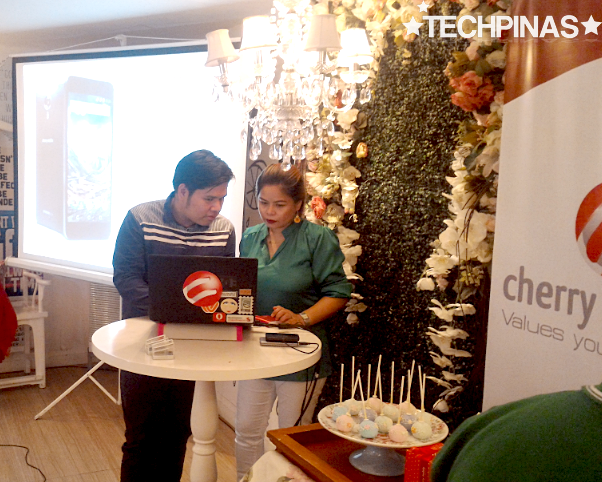 Mr. Miguel Bonifacio and Ms. Sandra Tubale-Dingal, Assistant Brand Managers of Cherry Mobile, at the CM G1 Launch. 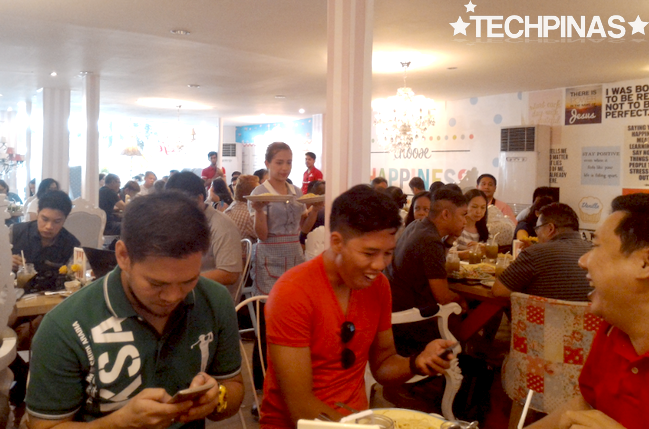 The event was packed with tech bloggers and members of the media. 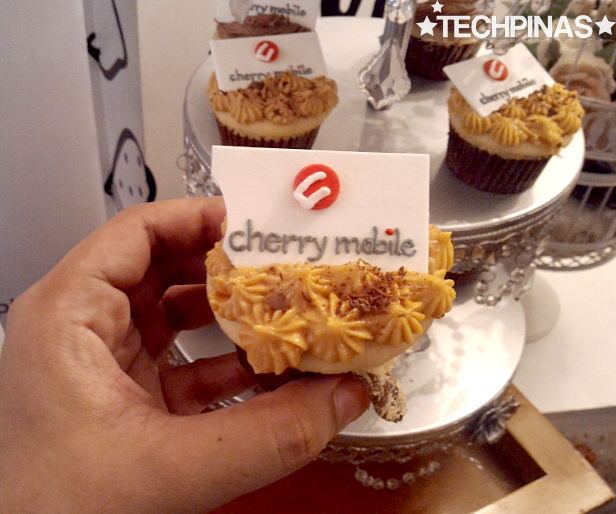 I want to give my two thumbs up to Cherry Mobile for always tapping bloggers and including us in the company's marketing campaigns; I'm just glad that they are making the most of the rise of digital. 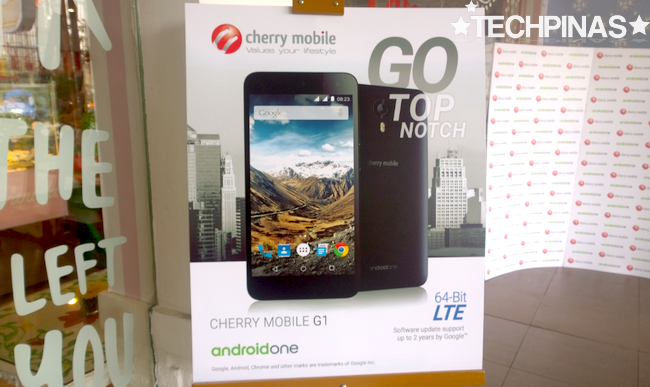 Back to the smartphone: As an Android One model, what makes Cherry Mobile G1 particularly special compared to similarly priced handsets with more or less the same technical specs is that it is at the forefront of software upgrades coming directly from Google. For two years, the G1 along with CM One will be getting the latest Android firmware updates ahead of all other smartphones in the world; That's the promise of Google's Android One project. Check out the White Variant, which has a rather glossy, pearl-sheen finish. 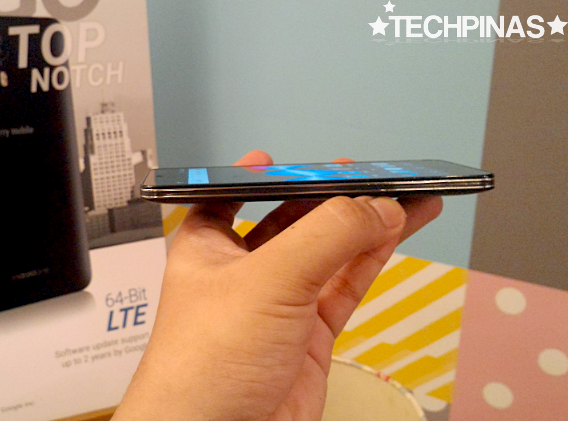 Compared to its Php 3,999 predecessor which only has a 5 MegaPixel main camera and 2MP front cam combo, Cherry Mobile G1 sports a 13 MegaPixel and wide-angle 5MP combination; That's a tremendous upgrade, clearly. Also, whereas CM One only had a 4.5-inch FWVGA screen, the G1 flaunts a 5-inch HD IPS On-Cell display, which isn't only bigger but is also more crisp and brilliant. 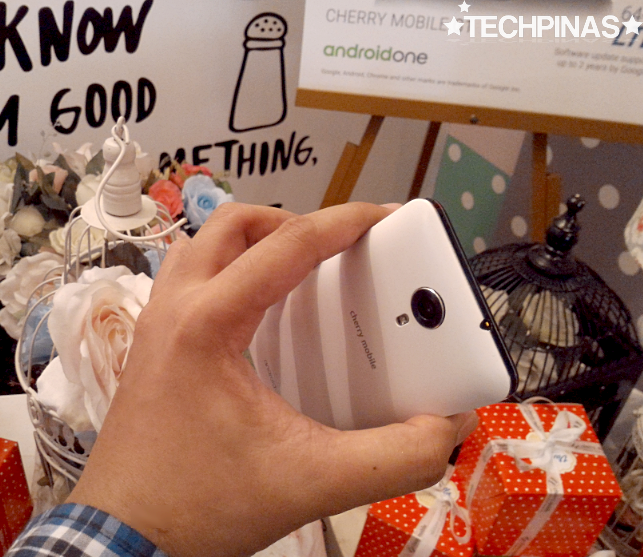 Because of its size, it's also easier to type on and it provides great photo and video viewing experience. The Black variant has a matte finish that attracts less finger-print grime while increasing traction with your hand, allowing for a firmer grip on the device. Aside from the position of its camera module at the back, another distinguishing design trait of the Cherry Mobile G1 is this chrome-plated, laminated metallic accent running down its sides. It has two silver bands sandwiching a thicker black line. The phone's loud speakers at located at the rear - framing the microUSB port - instead of at the back. I like this because the sound isn't muffled when you play a track or a clip while the phone rests on a table or in the palm of your hand. 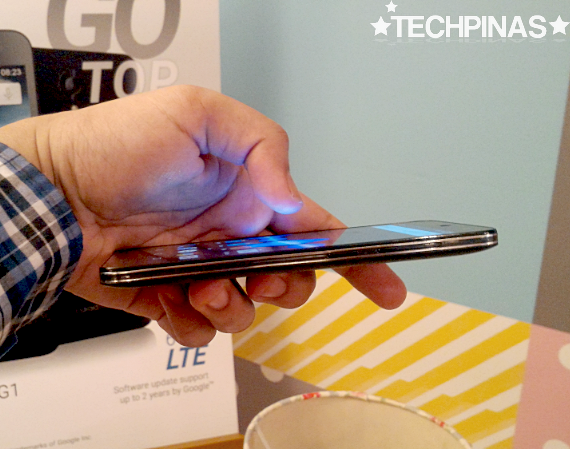 With thickness of 9.3 millimeters, the G1 is not particularly the slimmest phone out there. 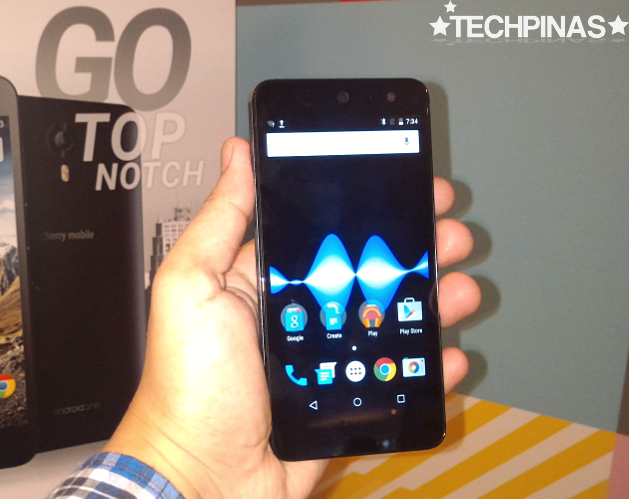 But weighing only 135 grams, it's quite light for a 5-inch handset. 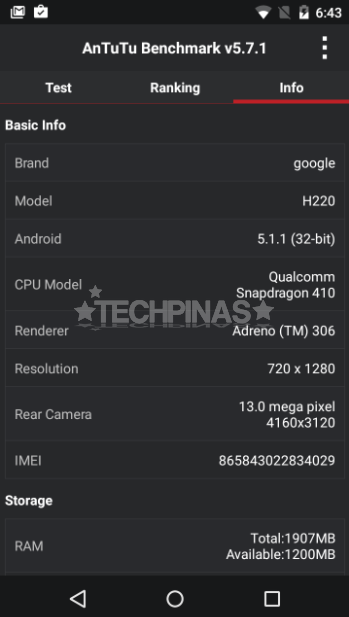 As I've said, one area where Cherry Mobile G1 trumps CM One - and also all other Android One handsets released earlier this year in any part of the world - is in terms of internal hardware. At its heart, the G1 runs the latest vanilla Android 5.1.1 Lollipop operating system with its 64-Bit Quad Core Qualcomm Snapdragon 410 chipset incorporating four ARM Cortex A53 cores and an Adreno 306 GPU, has 2 GB of RAM for seamless multitasking, and comes with - get this - 16GB of ROM that you can further expand using the handset's microSD card slot. Frankly, while the processor could be better, I think the amount of RAM and ROM are both already good enough for a device with such price tag. 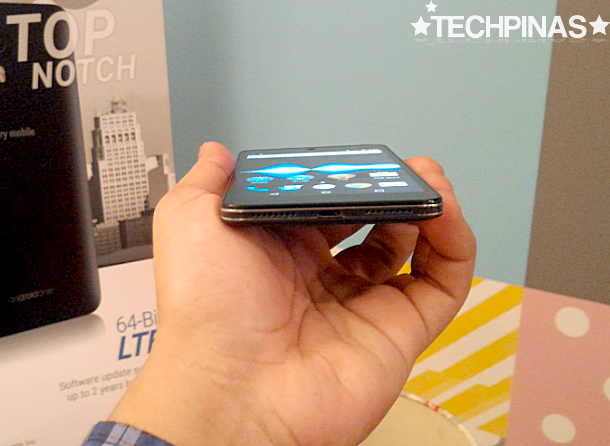 Combined, the phone's innards give it an Antutu Benchmark Score in the range of 22,000 to 23,000. I got a score of 22,025 when I ran the test on my G1 yesterday. 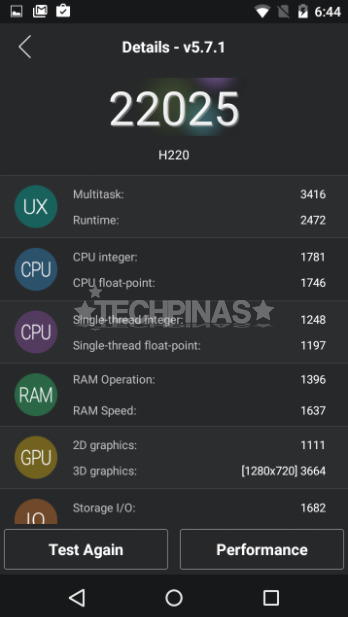 This mark somehow proves that the device is capable of running specs-intensive games and applications; It will run 3D games but, of course, the experience won't be as flawless as what phones with a better graphics chip - like the CM Flare X - tend to deliver. 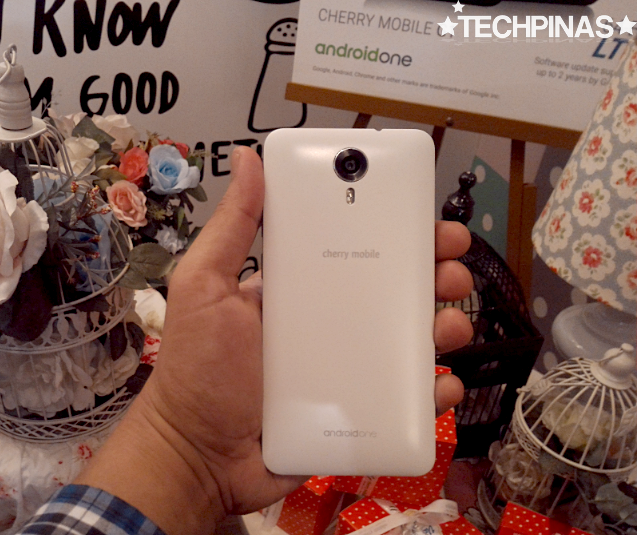 Is Cherry Mobile G1 the right smartphone for you? 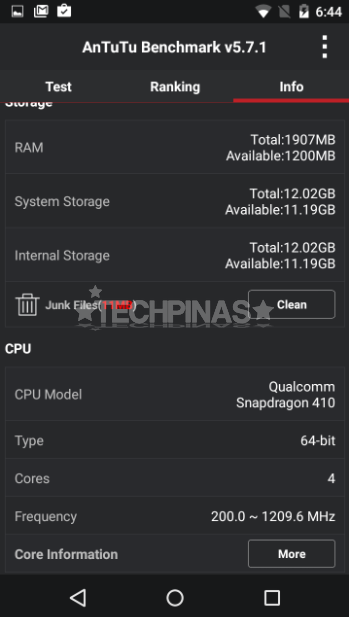 To be honest, for Php 5,999, you can already get a smartphone with better technical specifications not just from Cherry Mobile but also from other brands. However, one gets an Android One release not just for its specs but more importantly, because it is Google-sanctioned and as such, it is prioritized when it comes to firmware upgrades. 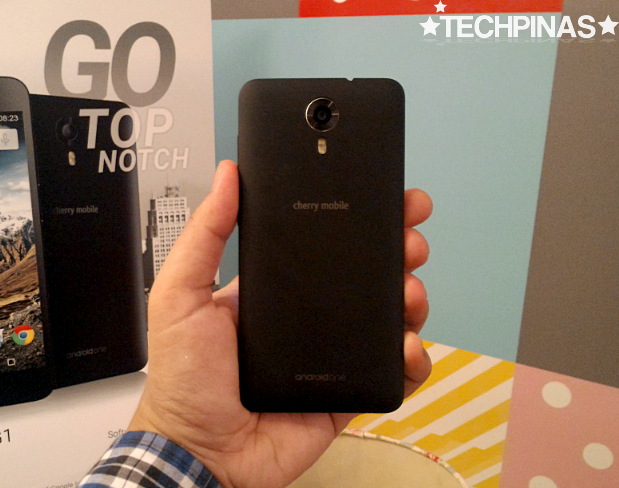 If you want to enjoy the latest Android build on a smartphone with more than decent internal hardware, good pair of cameras, and a fairly large display, you'd do well to have the Cherry Mobile G1 in your bucket list.